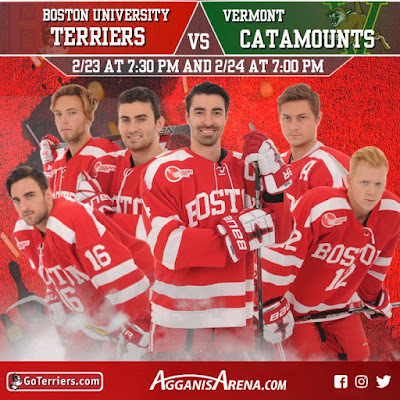 Terriers will play their final regular-season weekend series against Vermont. BU, fighting to have a bye in the first playoff round and home ice in the second round, sits in fourth place, two points ahead of both Maine and Connecticut. 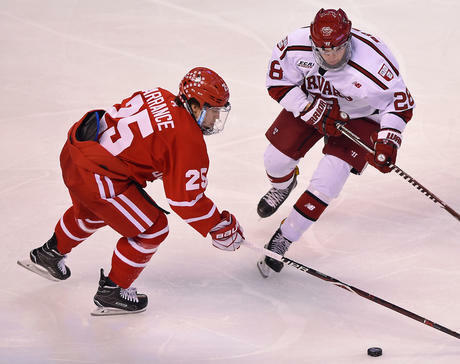 A BU sweep or one BU win and a Maine loss to BC would enable the Terriers to finish fourth. The U.S. men’s team fell to the Czech Republic, 3-2, in a shootout to settle the quarterfinal match-up, ending their Olympic run. Junior Jordan Greenway was joined by former Terriers Matt Gilroy, John McCarthy and Chris Bourque on the U.S. squad. 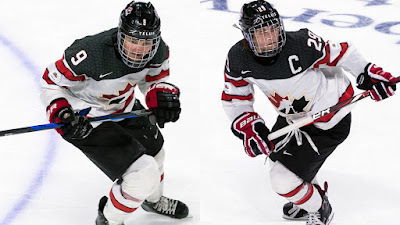 Former Terriers Marie-Philip Poulin and Jenn Wakefield will lead Canada against Team USA in the gold medal game tonight at 11:10 p.m. ET. Canada defeated the U.S. in each of the past two championship games with Poulin scoring twice in each of those games. BU has a received a commitment from Culver Academy Prep defenseman Dominic Vidoli for 2018. The 6’0”, 170 lb., left-shot blueliner from Raleigh, N.C., has 34 points in 26 games for Culver’s 28-2-0 prep team and is the fourth leading scorer (and tops among defensemen) on the team. He’s in his third season at Culver and previously played for the Cleveland Barons and TPH Thunder organizations. Culver currently sits atop the USA Independent Prep School rankings with a 33-2-1 record. 99 D Dominic Vidoli (BU) is a strong bodied blue liner who owns his defensive zone. Takes smart routes out of the zone and closes down shot space. The @CulverHockey product put in a strong showing at Road to College this summer. 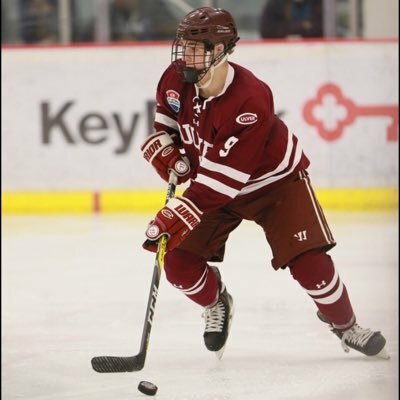 New BU commit, ‘99 LD Dominic Vidoli (Culver Prep), brings more of a defensive style to the Terriers. Skates well, grinds and retrieves pucks. Stood out at Road to College Showcase last summer. His development is trending in right direction. Vidoli is the third defenseman in BU’s 2018 class, joining Ryan O’Connell, a Toronto draft pick currently with BCHL Penticton, and Hugo Blixt, who plays for USHL Tri-City. 2020 recruit Dylan Peterson scored a pair of goals in CIHA Midget White’s 4-3 overtime win over Rockland U18 AAA. The 6’4” right wing has 23 points in 24 games. 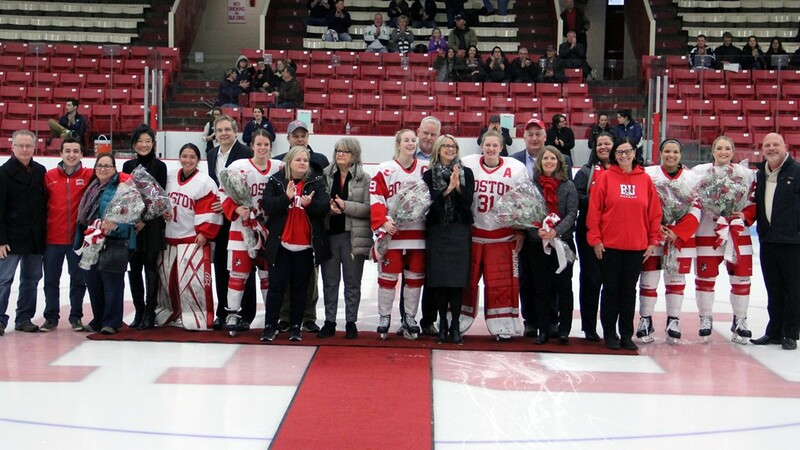 Terriers concluded the regular season with a 2-0 shutout of New Hampshire on Senior Day Sunday behind goals from senior Victoria Bach and freshman Kristina Schuler and 32 saves by senior Erin O’Neil. Schuler’s first period redirect of a Connor Galway shot gave BU a 1-0 lead that it would protect for the rest of the game. Bach’s goal was an empty-netter at 19:30 of the third period and it was her 36th of the season. BU finished the regular season in sixth place and will be on the road against Maine in a best-of-three first round series in the Hockey East playoffs, beginning Friday.